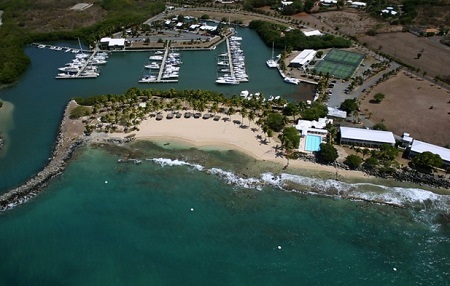 Tamarind Reef Resort, Spa & Marina in St. Croix, U.S. Virgin Islands! Bid per Room per Night and Choose your Length of Stay! in St. Croix, U.S. Virgin Islands! Escape to our top oceanfront resort in St. Croix for your next Caribbean getaway. Whether you prefer to spend your time lounging by the pool or exploring the reef just offshore, the award-winning amenities at Tamarind Reef Resort Spa & Marina are guaranteed to help you unwind. 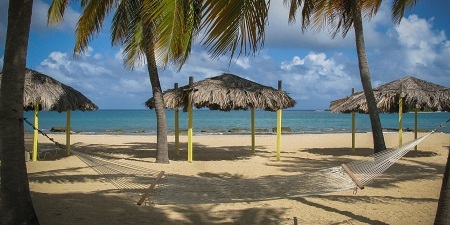 Voted the best beach on St. Croix in 2013 and 2014, the beach at Tamarind Reef Resort is known for its tranquil setting, mix of sun and shade and child-friendly wading area. There’s also an excellent snorkeling reef a few feet offshore. 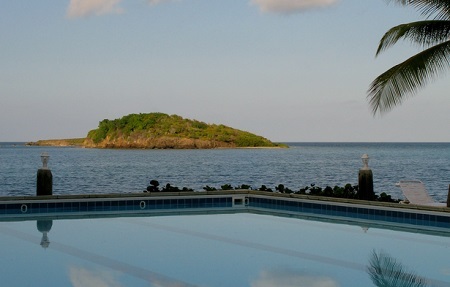 Open year-round, our multi-lane lap pool overlooks the ocean and offers gorgeous views of Green Cay and Buck Island. The pool is a uniform depth of five feet and uses salt-based chlorine – a natural alternative that’s easier on your skin, eyes and the environment. Enjoy a cold drink or meal at the Deep End Bar and Grill, located poolside. No visit to Tamarind Reef Resort is complete without a trip to our day spa. Enjoy a relaxing massage in our treatment room, on the breezy oceanfront patio or in your guestroom. We also offer manicures and pedicures, haircuts, styling, wedding up-dos and professional makeup services. Call (340) 718-3782 for reservations, or visit our spa page to learn more. For all On-Site Amenities click here. Offer is based on a Single or Double Occupancy in a Deluxe Room - 1 King or 2 Queen sized beds accommodations. This oceanfront room is located on the second floor and features a private balcony overlooking the sparkling Caribbean Sea. 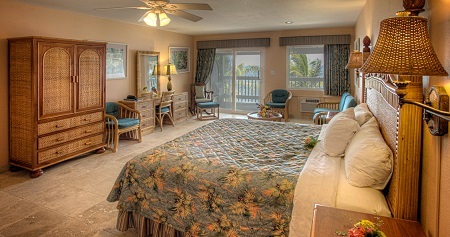 Rooms come with one king-size bed, and select units can be joined for families and groups. Stay a minimum of 1 Night and up to 3 Nights as desired and based on availability.